Live Creating Yourself. 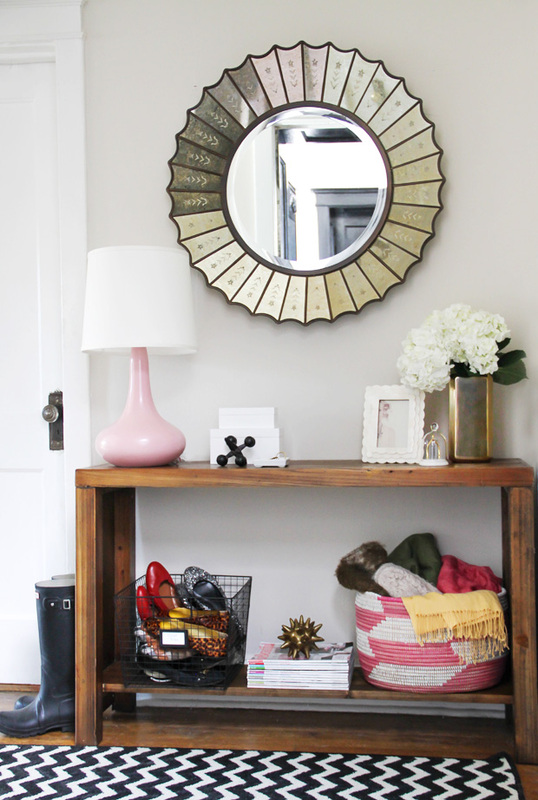 : I love a good styling project! ...almost as much as I love Joss and Main. 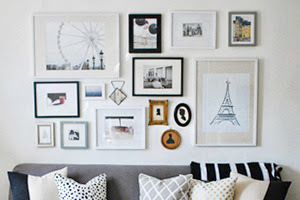 I'm telling you: the flash sale home decor site and West Elm are currently rivaling for who gets to be featured in my home more. A few recent purchases off the J&M include this amazing arc lamp, this grey upholstered bed (shown below), and this retro black wall clock that will soon make its home on my office gallery wall. I'm not a spendaholic - I just have a lot of credit to the site! Referring readers is a glorious thing. Anywho. Long story short. Danielle and I curated our second sale for the site on behalf of The Everygirl, but even better, they lent us some of the products from the sale to style and photograph for a "How to Style" feature. 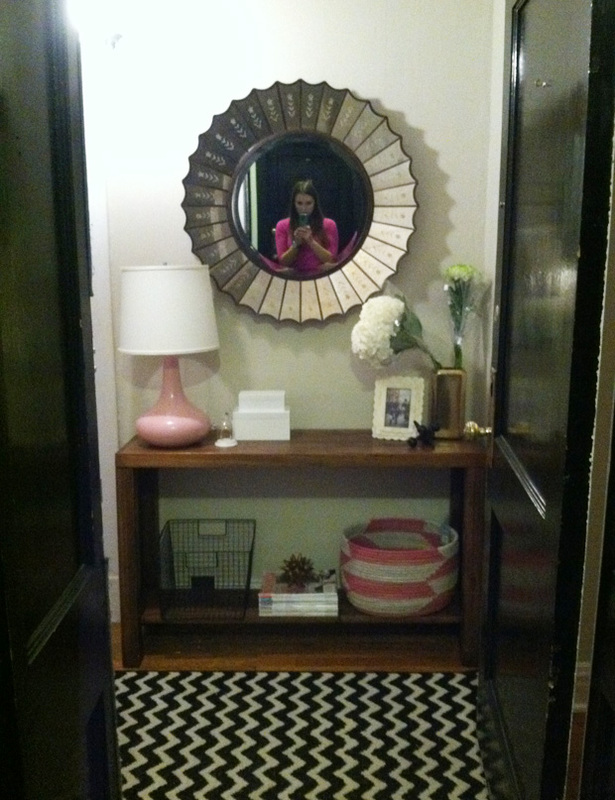 I styled a brand new version of our "How to Style a Nightstand" and "How to Style an Entryway." And you can shop both looks! But hurry–items are selling out and today is the LAST DAY to shop the sale! ...because I like sharing the "process" of how these all come together. Yes, both shoots took place in my apartment. 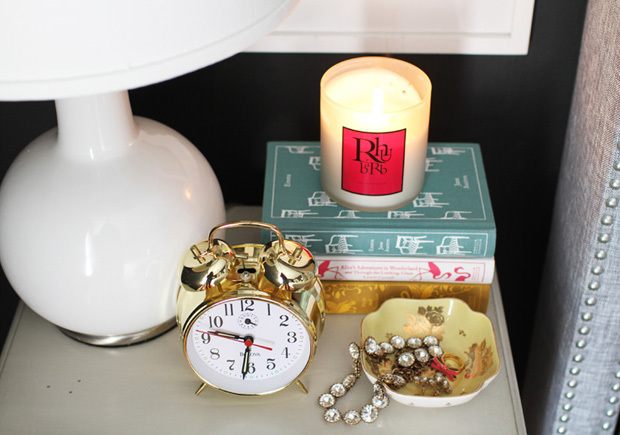 beautifully styled! 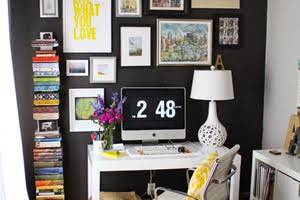 I love those books too, I think I need them and all of these pieces! LOVE this. Wanna come to my home next? i love your bed and have been wanting to get it every time i see it. i am lusting after so many things in your collection. Love all the details! 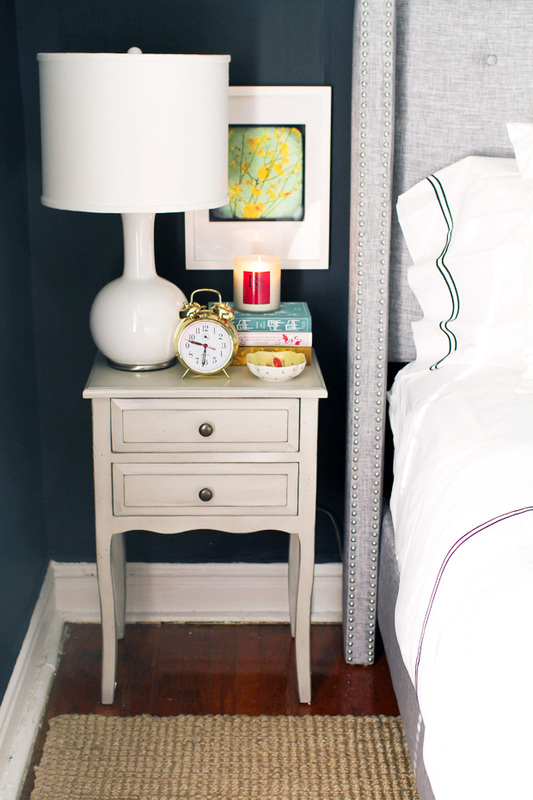 The basket with ballet flats is so sweet and the alarm clock on the nightstand is awesome. I want it! Great pictures! Looks so great! I'm right there with you...my home is getting swept away with great finds from those places too-West Elm has really come along way! 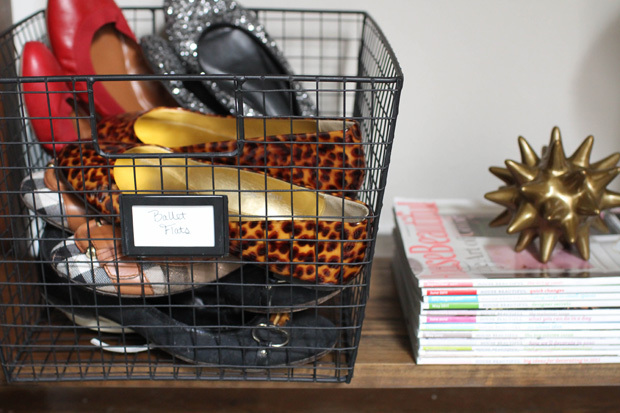 i like how all the ballet flats are in the basket- clever.